McKinley Park, the jewel of the neighborhood, is flying into 2019 with new personnel and continuation of the McKinley Park Advisory Council's highly successful programs like the McKinley Park Farmers Market, stewardship of McKinley Park's natural areas and Midnight Circus. Now is the time to start getting involved in this dynamic and fun community group that spearheads so many good things for the park: The McKinley Park Advisory Council Meeting at 7 p.m. on Monday, January 14, at the McKinley Park field house offers introductions to key council leaders, fellow neighbors and the group's plans for 2019. The McKinley Park Development Council Meeting on Wednesday, January 16, also at the McKinley Park field house, connects the community with development concerns and progress in the neighborhood across economic, cultural and social strata via the McKinley Park Development Council. Attend to learn and share information on local development, get updates on council programs like the Chicago Metropolitan Agency for Planning's neighborhood plan for McKinley Park, and connect by engaging in membership and community networking. Beat Facilitator Glenn Young introduces Chicago Police Department Officer Jason Solis at the January 9 CAPS meeting for Beat 912. 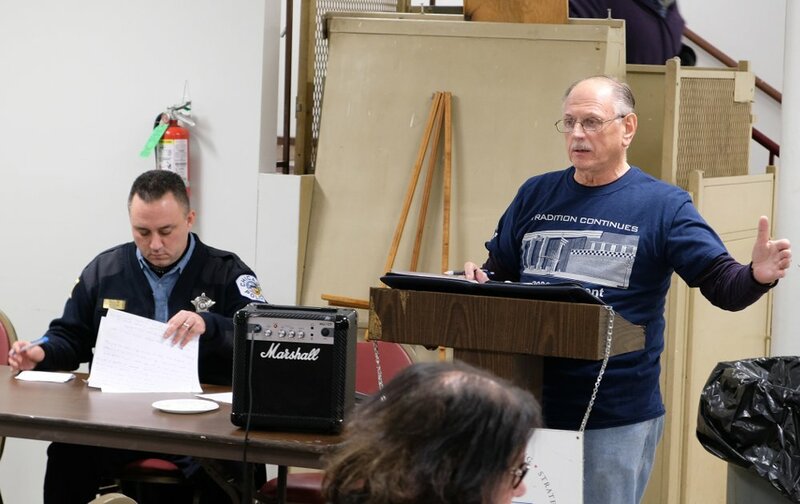 A string of vandalism incidents plagued the McKinley Park neighborhood on Sunday night, January 6, according to Chicago Police and attendees at the January 9 meeting of the Chicago Alternative Policing Strategy (CAPS) meeting for Beat 912. Ninth District CAPS officer Jason Sollis outlined a string of succeeding vandalism crimes after an impassioned request for information from Antonio Cabezas, facilities manager at the National Latino Education Institute. According to Cabezas, damage to the institute included graffiti and 17 windows being shot out with a BB gun, with total damages in the thousands of dollars. He estimated the incident took place between 10 p.m. and midnight. 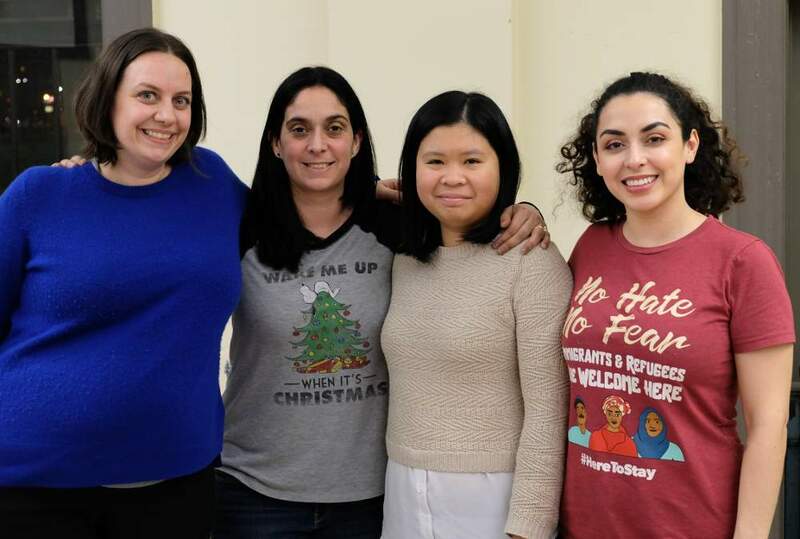 From left, dog park advisory council officers Angie Robertson, Adriana Kenning, Min Huang and Carina Trudell stand together after the group's Monday, January 7, meeting. McKinley Park is getting a designated dog-friendly area in 2019 after a long campaign by local dog park advocates and the Chicago City Council's approval of $400,000 in Tax Increment Financing (TIF) to fund the park. At the January 7 meeting of the McKinley Dog Park Advisory Council, officers revealed the dog park's build-out plans for 2019 and shared their excitement about this project finally coming to fruition. "I think I'm still in shock," said advisory council Co-President Carina Trudell. "I’m thrilled by City Council’s decision to back our four years of work." 2019 is set to be a harbinger for the dog park that's coming to McKinley Park, and the McKinley Dog Park Advisory Council Meeting on Monday evening, January 7, will provide the latest news and details. Attend to learn about park design updates, hear how you can support the dog park, and discover when you'll be able to take your pooch to the fully completed dog-friendly area, one of the first on the South Side. Otro Ritmo: South Side Punk Night returns to One City Tap the night of Tuesday, January 8, presenting live performance from UDUSIC and Tierra Muerta alongside guest DJs Crave Case and Dipping Sauce. This monthly conclave of freaks, mutants, goths and punks is one of the neighborhood's top nights out, and this month's proceeds will benefit Connections for Abused Women and Their Children (CAWC). 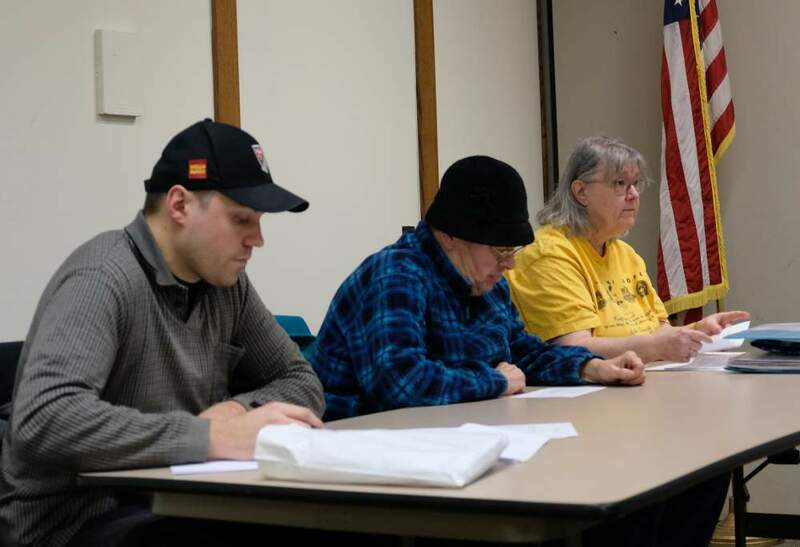 McKinley Park Civic Association Vice President Sue Pletsch, right, announces the 2019 award winners alongside Secretary Chris Bania and President Agnes Bednarkiewicz at the January 2 association meeting. The McKinley Park Civic Association announced the winners of its 2019 community awards, including for Educators of the Year and the William H.G. Toms Award, at the Wednesday, January 2, 2019, association meeting. Chosen from local educators and community leaders, the award winners will be feted at the association's annual banquet in March. Jose Negrete was announced as the winner of the William H.G. Toms Community Service Award. Educators of the Year include Josefina Garcia of Blessed Sacrament Parish, Nicholas Colletti of the De La Salle Institute, Elizabeth Loerop from Evergreen Academy Middle School, Shelley Cordova of Nathanael Greene Elementary School, Nadine Filas at Thomas Kelly High School, and Betty Gorman at Namaste Charter School.